Rail Live! presents unique annual opportunities across a number of event channels, all designed to deliver business development and leadership opportunities. 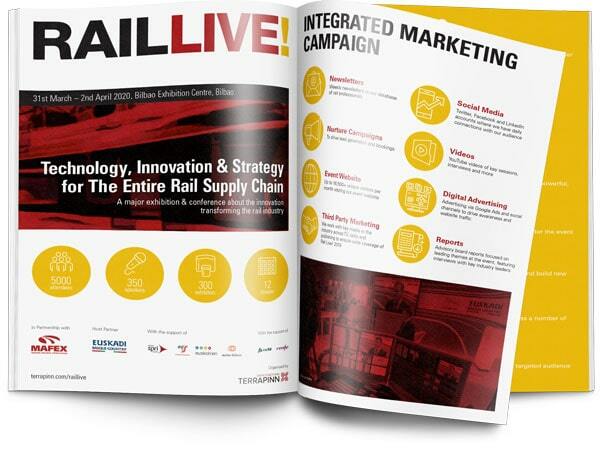 If you want to meet senior executives in the global rail industry then this is the perfect event for you. Fill in the form on the left side of this webpage and the PDF prospectus will be e-mailed to you.